An interview with David Gyllenhaal, a PHD Student at Oxford University discussing his thesis on how the 7th century changed Byzantine self conception. I just wanted to know, just how many people died in the war of 602 to 628? Did this war severely diminish the empire’s military? I believe a good supply of men was present in his conscription of the eldest son or something like that as john julius norwich talks about. Or would there have been a good supply of men? They had many laws against Pagans and Jews, restricting their access to a professional career. I’m not sure if there were blasphemy laws as such but it would be unthinkable for anyone prominent to espouse non-Christian views and men were exiled or worse when convicted of heresy but as far as I know only from an official position. i.e. you were a heretic because you swore to be orthodox in your post and then went against that rather than someone in the street being dragged off for saying something wrong. As you heard in the narrative, the loss of territory was very rapid from 608-15ish. So even if men were being replaced by their sons, that wasn’t much help if your son was now in the conquered portion of the Empire. Men did not all have sons of course and the situation doesn’t seem to have been universal inheritance. Some men just signed up as mercenaries and did not have a hereditary obligation. So yeah once men were killed in those battles it was very hard to replace them with someone of equal skill. That’s a very good question. I think they would have viewed themselves more like the orthodox church in exile. They were less a remnant because the Empire was still just across the border. Hopefully we will revisit those people a little when Iconoclasm hits and we see their reaction to it. I also thought this episode was really terrific. David’s insights were extremely impressive and they give us all a lot more to think about as we move forward. A fascinating and informative interview Robin. I hope you’ll be able to do more of these, they’re quite enjoyable! I think this was easily one of the most interesting podcasts to date. I had not ever really considered the question of theodicy and how it might have changed Byzantine self-understanding. To the extent that it might have creeped in at all, I believe I unconsciously assumed that any shift took place shortly after Constantine’s adoption of Christianity – rather than 3-4 centuries later. This goes back to the discussion we had in Episode 41, “Who Is a Byzantine?” And it would seem to give credence to the revisionist school, typified by Peter Heather, that sees a break in Romanness in the 7th century, particularly in the reign of Heraclius. 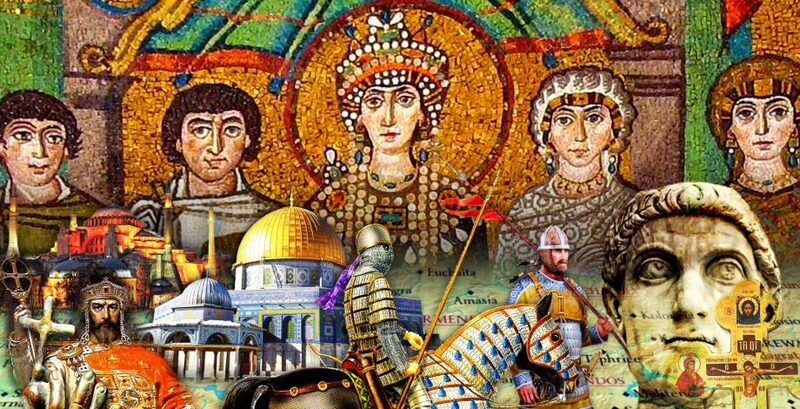 And if Byzantium was to survive, it was almost certainly a shift that needed to happen, to give the Byzantines the fortitude needed to ride out the very ferocious storms of the 7th and 8th centuries – and beyond. There’s no doubt that the Byzantines thought of themselves as “Roman” to the very end, and beyond, as you have noted – with as good a claim to the title as anyone. 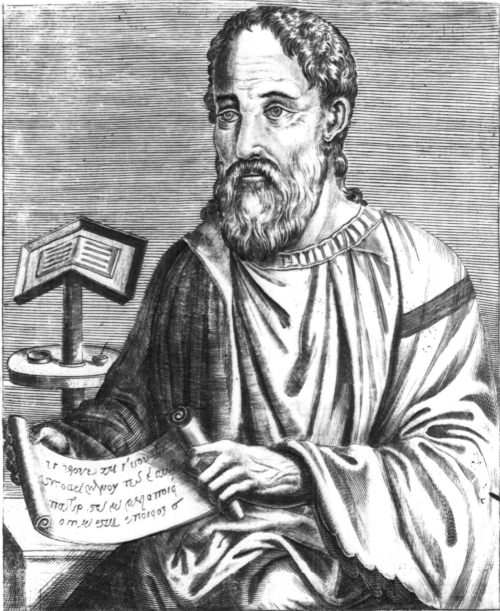 But it’s becoming easier to make the case that this self-understanding of what “Roman” became something decisively different by the time of Heraclian dynasty, in a way that “Roman” in the reigns of Diocletian, Constantine, Theodosius, and even Justinian had not, even if the beginnings of the shift were underway. Robin-The podcast with David was great, a superb addition to an already excellent podcast (I look forward to everyone of them). I was blown away by the idea that Heraclius was able to shift the whole paradigm of Byzantine thinking from the “Good Man,” theory of rulers, pervasive in the empire for so long, to a sort of, “we are all sinners in the hands of angry God, but, hey, I can help you out,” view of the emperor’s relationship with God and his subjects. As others have pointed out this is nothing short of miraculous considering his military defeats and his scandalous marriage to the unpopular Martina. That he turned the empire’s view of itself from ancient to medieval in its thinking must rank him among one of the most influential Byzantine Emperors in spite of military defeats and failure to put an end to the conflict in the area of church dogma.”Borrowing” the Jewish idea being the “Chosen People” who have the ability to negotiate covenants with God, is a stroke of genius whether it was a happy accident or by design in the end it does not seem to matter. At any rate, I hope David writes a book on the 7th Century based on his research. Both of you should stand up and take a bow for a job well done. Great episode and very educational. As I was listening to it I could not help but make some parallels between the concept of covenant between God and God’s chosen people and the anti-gay and anti-abortion rhetoric of the Christian right in the U.S. By the same virtue, it seems that the God’s favor would be lost if we such practicers are allowed to go without official sanction. In fact, some might view the decline of living standards as a direct consequence of policy making that allows practices traditionally understood as anti-Christian…Anyway, thanks again for the wealth of information on-the-go. Anyone really interested in the religious side of the Old Testament covenants and their structure should consider looking at John Sailhamer’s The Meaning of the Pentateuch. He makes a convincing case that baked into the very structure of the first five books of the Bible there is an emphasis on the expectations of a Messianic king in light of the failure of the legal covenants to bring about the obedience of the people. Unfortunately, no audible version. Do you have this in a transcript as well? I’m afraid no transcript of this episode exists. However if you were seriously interested in the subject I could put you in touch with David who might be able to let you have access to his thesis. Jews were formerly highly honored, and enjoyed privileges above all other races, for they alone were called the People of God. But for the reason that they disowned Him who had honored them and given them privileges; and instead of showing Him reverence humiliated Him, by shamefully putting Him to death on the cross; it was proper and just that, on account of the great crime and wickedness which they committed, they should forfeit the honors and privileges which they enjoyed; and therefore from the day when they crucified Our Lord Jesus Christ they never had either king or priests among themselves, as they formerly did. The emperors, who in former times were lords of all the world, considered it fitting and right that, on account of the treason which they committed in killing their lord, they should lose all said honors and privileges, so that no Jew could ever afterwards hold an honorable position, or a public office by means of which he might, in any way, oppress a Christian.